It was late summer when Amanda and Adam asked us to document their elopement wedding in La Badia Orvieto Italy the following autumn. We are totally in Love with this place, an Old Abbey immersed in the scenario of the green Umbrian countryside, a dream wedding destination in Italy. La Badia Orvieto Italy, was futured on multiple famouse wedding blogs as one of the best location in the world for destination weddings, and for is one of the best place to elope in Italy. 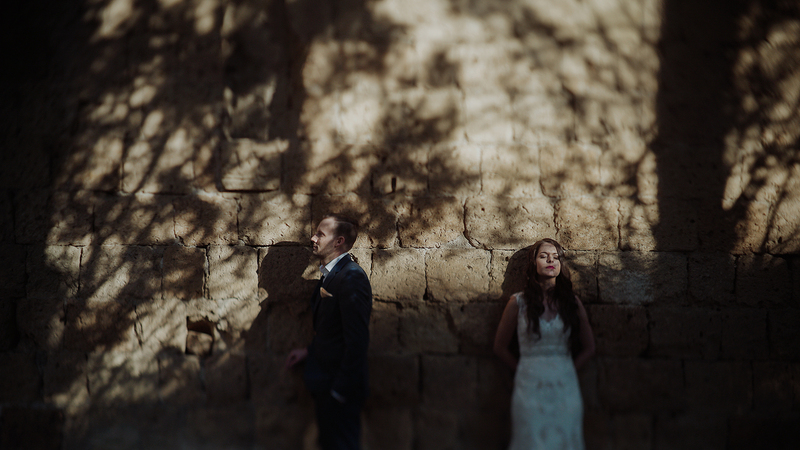 Adam and Amanda elopement wedding in La Badia Orvieto Italy was pure magic. It was a warm day of autumn, we were surrounded by warm colours of the ancient stones and yellow and orange leaves. The light made its way between the windows and the trees, making us fall in love with every hidden corner of La Badia. It was love at first sight with Adam and Amanda. They have always dreamed to elope in Italy, and it was exciting to be part of that dream and to be able to tell about it. Amanda and Adam exchanged their promises in the ruins of the old abbey. It was exciting and it was hard to hold back the tears. We love to capture real emotions, and small intimate weddings and elopement weddings are the perfect weddings to document. Ho visto i vostri video su Instagram e sarei interessata a chiedere un preventivo per un video del mio matrimonio per il 29 Giugno 2019. Mi sposeró in chiesa a Sant’Ambrogio a Milano e la reception sará a villa Pizzo a Cernobbio sul Lago di Como.